Dr. Riggs' professional interests are twofold and include the magnetic properties of thin films and also musical acoustics and vibrational holography. He keeps two research labs running as he follows these two paths. 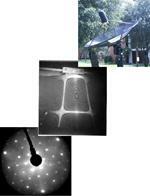 Dr. Riggs teaches a course on acoustics for non-science majors: The Science of Music. For our majors he teaches most of the advanced upper division courses. He is also the advisor for all students interested in pursuing a career in engineering. When he's not working on physics, Dr. Riggs can be found engulfed in current events on the web or playing his electric guitar or his banjo. Dr. Riggs also enjoys playing guitar in the faculty jazz band, Thin Film Magnetism. 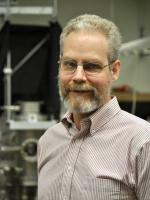 Dr. Glander's professional interests lie in LEED (low energy electron diffraction), and is actively involved in cutting edge research involving Kikuchi electron diffraction. Dr. Glander teaches the introductory series, University Physics, for our majors (PHYS 141/142), and his favorite upper-division course is Thermophysics. When he's not on campus, Dr. Glander's favorite activity is working on improvements around his house, something which might be described as a practical application of the physics and engineering theories he teaches. 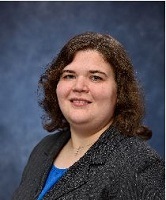 Holley Lynch received her Ph.D. in Physics from Vanderbilt University and worked as a postdoctoral researcher in Bioengineering at the University of Pittsburgh. She enjoys teaching and researching the physics of tissue migration. She finds the mechanics of biological tissues particularly interesting because they are a unique material: not quite a solid or a liquid and self-propelled. In addition, determining the basic mechanics of tissue migration will help inform efforts to engineer organs and to create therapies that deter cancer metastasis. 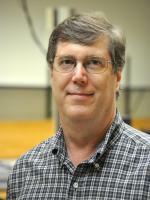 Lynch's research involves both "wet" work with cells and computational work to automate data analysis and compare experimental data with physical models. She looks forward working with students interested in conducting research at the interfaces between biology and physics and between experiment and theory. Jared Vanasse received his Ph.D. from the University of Massachusetts, Amherst, and he has held postdoctoral positions at Duke University and Ohio University. His primary research interest is in the application of effective field theories to few-body systems with a focus on their application to the properties of atomic nuclei. 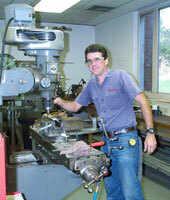 As our full-time machinist, it's Larry's responsibility to keep all our equipment in peak condition. He assists at every stage, ranging from the installation of new equipment to the repair of older equipment. He also is instrumental in facilitating projects in the lab when specialized equipment is required. Working with our faculty, he will produce customized pieces as needed to keep a research project going.